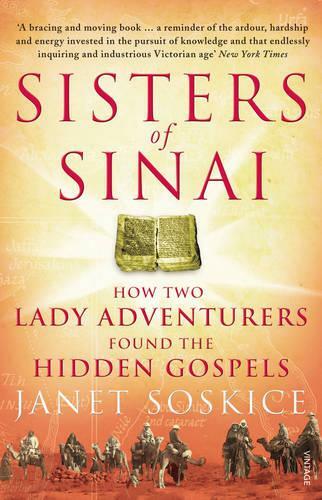 'The hunt for early Bible manuscripts was among the most romantic of all the 19th century's grand quests...At the heart of this lively, inspiring double biography is the story of how a pair of spirited Presbyterian women made their own extraordinary discovery' Sunday Times Sisters of Sinai is the story of how Scottish twin sisters made one of the most important manuscript finds of the nineteenth century - an early copy of the gospels which lay hidden in the Sinai desert. We trace the footsteps of the intrepid pair from the Ayrshire of their childhood, as they voyage to Egypt, Sinai and beyond, coping with camels, unscrupulous dragomen, and unpredictable welcomes, not least from the academics of their adopted home in Cambridge. Fast-paced, informative and written with dry wit, this is a story of two remarkable women, undeterred in their spirit of adventure, who overcame insuperable odds to claim a place in history.